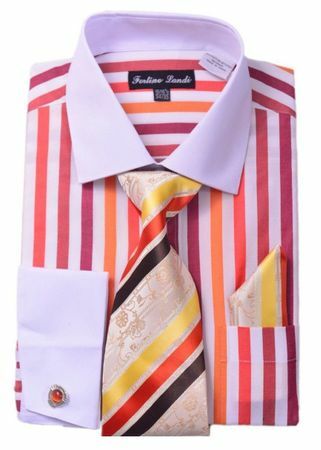 Your suits will pop big time with these great looking candy stripe fancy shirt and tie sets by Milano Moda. This red candy stripe shirt features great looking french cuffs and the white collar as well for contrast and is made of cotton/poly blend fabric. The tie set is included for the complete look.